The rural lending rate is presently at an appealing level but the lower projected Fonterra payout and a little-better-than depressed meat industry does not mean that farmers are rushing into adding more debt. That’s possibly just as well. 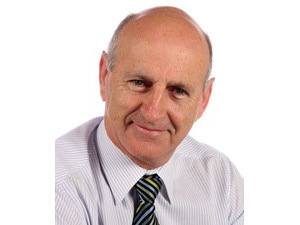 Dennis Wood, who heads Act Three Rural Insolvency and Investigations, predicts rural receiverships numbers will keep pace with rising rural bank debt, currently around $49 billion. He says that a disproportionate number of rural businesses account for a higher percentage of that debt, as the currency remains high and NZ continues to be exposed to global market forces. Many rural businesses particularly in dairy, sheep & beef, viticulture and horticulture are experiencing acute financial stress. Mr Wood says that some of those in receivership are extreme examples of “financial delinquents” who fail to heed warning signs or listen to financial advisors or bankers. He says they are often “cowboys (sometimes entrepreneurial);” those who must live on ‘credit’ and are poor listeners and managers. Mr Wood, an experienced farmer, business & financial management consultant and former Police Detective Inspector, works nation-wide with the country’s leading rural, banking, legal and commercial sectors to help resolve insolvency, taxation, shareholding and financial issues or other situations for which sometimes there isn’t succinct or clear cut description. He is also consulted directly by many rural business owners looking to resolve farming and financial crises. Since early 2011 there have been at least 50 rural receiverships and since the beginning of the Global Financial Crisis around 200 receivership appointments. Mr Wood says that doesn’t include the huge number of rural businesses that have voluntarily been wound up, liquidated and/or are the subject of mortgagee sales. His experience is that many business owners leave key financial decisions until it is too late. “In some cases they have already been tapped on the shoulder by their accountant to wind back spending or have been warned by bankers to revise their business strategy,” he says. Mr Wood says that in the rural sector, it is rare to see a business completely wound down. Usually he will try to find an alternative solution. He says much of his business comes from farmers, investors and lenders who see problems mounting, financial or otherwise, and realise they urgently need to get help! Options may include initiating debt management plans; reviewing & restructuring cash flow; refinancing; introducing equity partners; formal creditor compromises; arranging payment plans; formal proposals for debt repayment to IRD (who are often more sympathetic than many would have you believe).